The Earth is about to commit a roll ! - Upstate Berserkers vs "Gray Cardinals".... | Upstate Berserkers vs "Gray Cardinals"…. « Experiment “Universe-25”: as a paradise became hell ! The Earth is about to commit a roll ! December 13th, 2014 by berserker | Posted in Out of Bounds ! 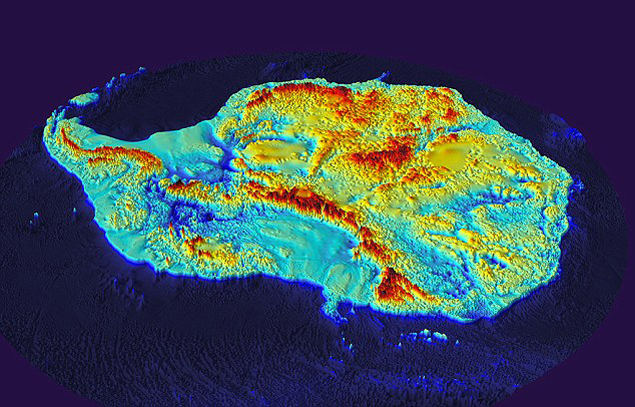 NASA scientists unveiled images of Antarctica from space. Compared them with the same. And assure that ice in the Southern continent increased. The analysis shows that since the early 70s of last century, the ice cover was growing here at a rate of 18,900 square kilometers per year. And now reached a record area of 20,140,000 square kilometers. 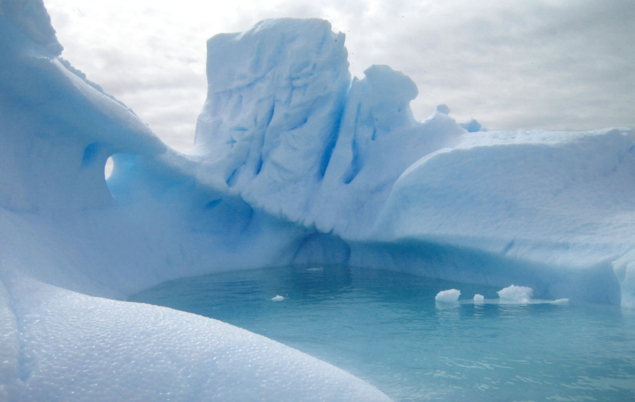 – Glaciation of Antarctica – a consequence of global warming, which can not be denied – explains the researcher Claire Parkinson (Claire Parkinson, a senior scientist at NASA’s Goddard Space Flight Center). – There is no paradox here is not – Earth a single organism and processes are interconnected. Somewhere global warming climate change in one direction, and somewhere in another. That ice: at the South Pole is growing, and the North disappears. Over the same 40 years the amount in the Arctic Ocean declined at a rate of 53,900 square kilometers per year. 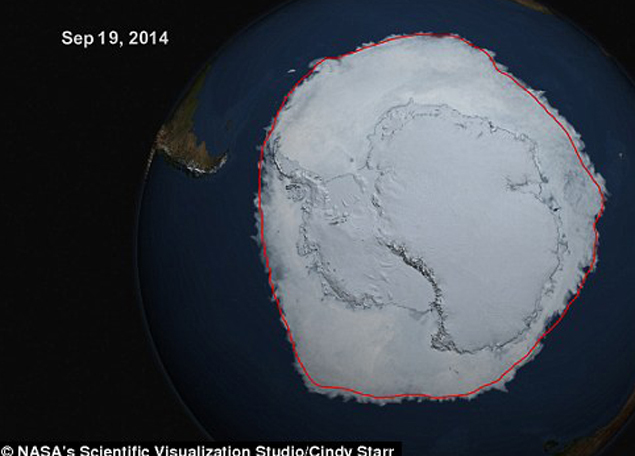 Total: decline for the entire planet at the poles only 35,000 square kilometers. And yet, what kind of mechanisms involved in the rapid accumulation of ice at the South Pole, scientists have not yet figured out. What and recognized. Obviously, if the amount of ice at the North Pole decreases and increases in the South, the planet – at least the mantle – becomes heavier at one end and the other lighter. Some scholars who hold to put it mildly, an original look, this redistribution of weight scares. After all, they believe a violation of the pole balance – a kind of “polar skew” – can lead to the fact that the Earth will make a somersault. That is, the axis of rotation is displaced a certain number of degrees. And this supposedly already happened in the history of our planet – has led to the Flood. On the other – at least half-witted version – somersault makes not the whole ball, but only its lithospheric shell. Once upon a time, according to supporters of this version, similar to the shift that occurred as a result of “polar bias”, move the green and blooming Antarctica from temperate latitudes in the place where she is now. And frozen continent. According to rumors, the hypothesis of a roll supported as much Albert Einstein himself. And even explain the phenomenon of the interaction of centrifugal force generated by the rotation of the Earth, and asymmetric masses of ice. However, it is possible that no asymmetry in the polar case. And it is not global warming, therefore. And the reason for a roll in the very essence of our planet – is that it rotates while in weightlessness. 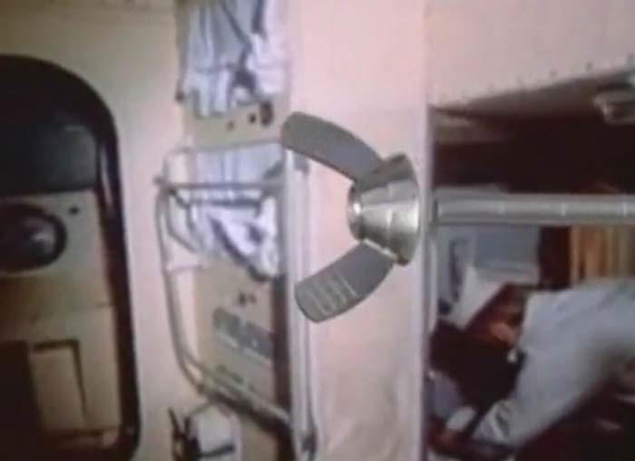 The story, though still a Soviet cosmonaut, twice Hero of the Soviet Union, Vladimir Janibekov being on the orbital station “Salyut-7″ in 1985 watched flying in zero gravity while rotating nut. Noticed that after a while she turned around 180 degrees, then again – and then tumbles into one side or the other, continuing to fly. Vladimir sake of the experiment ran plasticine ball one “pole” which was heavier than the other – there astronaut attached a small sinker. And the ball started to tumble. There are very serious scientists who believe: Earth is exposed to “Dzhanibekova effect.” And from time to time she tumbles. Since moving in an orbit in weightlessness, rotates about an axis which does not coincide with the principal axes of inertia. A may not be the same as the processes in the interior of and on the surface. Serious scientists believe that the Earth can not kuvyrnutsya. And if it could, it is not more than once every 50 million years. Opinion frivolous: it tumbles every 12-13 thousand years. It is better to be right were serious. The result of years of research scientists in the USA, China, Japan and the United Kingdom became a map of Antarctica – specifically what is now located under the multi-kilometer thick ice. It turned out that it was not a single continent, and an archipelago with mountains and deep canyons. Now here is cold, as on Mars – the temperature sometimes drops to minus 90 degrees Celsius. On top of the area – the ice at 3 km thick. But it was not always so. Another 34 million years ago the continent was free of ice. On the slopes of the mountains blooming meadows and gardens. As it is now in the European Alps. But something happened. Maybe the one with the most somersault? Researchers have found a place from which a small glacier, located on the highest peak (2,400 meters), began to grow. Gradually, he covered the entire Antarctic. Hidden under a layer of ice many lakes. Zaygert Martin (Martin Siegert) from the University of Edinburgh (University of Edinburgh, Uk), who took part in the expeditions, sure: in the valleys of the Alps to the Antarctic still preserved frozen plants. Even small trees.